Elevator controls play a huge role in fire alarm system emergency functions. Whereas Designated and Alternate Elevator Recall captures and sends the elevator cab to safe floors, elevator shunt trip works a little different. Elevator Shunt Trip is a function that involves shunting the breaker that controls the elevator equipment prior to the release of the automatic sprinkler systems. This procedure is completed via the activation of heat detectors (addressable or conventional) connected to the building fire alarm system or dedicated function elevator control panel. It is important to understand that not any heat detector within the facility will be required to activate the elevator shunt trip procedure. The only heat detectors that will activate the elevator shunt trip control relay are those located in the elevator shaft or hoistway and elevator equipment room. Shunt Trip NOT permitted in Fire Service Access Elevators or Occupant Evacuation Elevators. What Specific Codes or Standards Address Elevator Shunt Trip? The Fire Alarm and Signaling Code or NFPA 72 2013 section 21.4.2* states the following "If heat detectors are used to shut down elevator power prior to sprinkler operation, they shall be placed within 24 inches of EACH sprinkler head and be installed in accordance with the requirements of Chapter 17. Alternatively, engineering methods, such as those specified in Annex B, shall be permitted to be used to select and place heat detectors to ensure response prior to any sprinkler head operation under a variety of fire growth rate scenarios.". 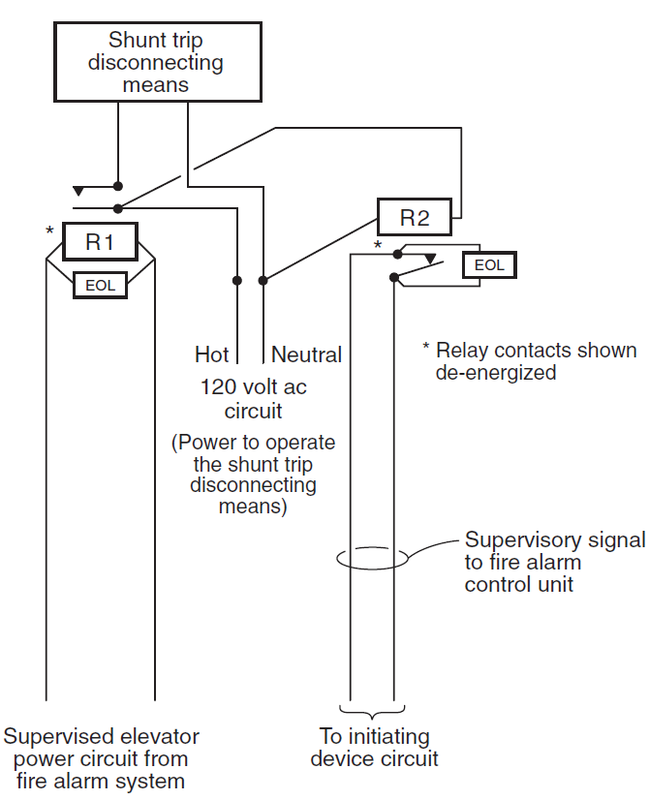 In order to ensure the elevator shunt trip control relay is activated prior to sprinkler head operation is addressed in NFPA 72 2013 section 21.4.1. "Where heat detectors are used to shut down elevator power prior to sprinkler operation, the heat detector shall have both a lower temperature rating and a higher sensitivity compared to the sprinkler." ASME A17.1 2013 "In jurisdictions not enforcing the NBCC, where elevator equipment is located or its enclosure is configured such that application of water from sprinklers could cause unsafe elevator operation, means shall be provided to automatically disconnect the main power supply to the affected elevator and any other power supplies used to move the elevator upon or prior to the application of water. This means shall be independent of the elevator control and shall NOT be self-resetting." Basically if there is potential for automatic fire sprinkler water to make its way onto the elevator controls or other power supplies for the elevator, there needs to be a way to shut down prior to this event. Also note that NFPA 13 and the International Building Code address when and where sprinklers will be used for elevator spaces. In basic terms, sprinklers are not permitted in elevator spaces if the materials in these spaces are not combustible. However, if there are combustible hydraulic fluid, coated belts, controls, etc. then sprinklers will be provided. Just remember, No Sprinklers, No Shunt Trip. We constantly get asked if you are required to install a heat detector in the bottom of the elevator shaft or elevator pit. For more information on this topic, review our article titled "Is a Heat Detector Required in the Elevator Pit?" Can the Elevator Shunt Trip Activation be Delayed? The answer is YES. The activation of heat detectors can delay the elevator shunt trip via programming for a delay time not to exceed the time it takes the elevator cab starting at the top level to reach the lowest level of exit discharge. The purpose behind this allowance is to increase the potential for elevators to complete their travel to the recall level. Make note that the requirements of A17.1/B44 Safety Code for Elevators and Escalators would still apply. If your fire alarm system utilizes waterflow or pressure switches to activate the elevator shunt trip, any time delay switches or capability will NOT be permitted per NFPA 72 2013 section 21.4.3. This is a step that seems to be missed a lot. NFPA 72 2013 section 21.4.4 mentions that the control circuits used to shut down power to the elevator shall be monitored for the presence of operating voltage. If the voltage is not present than a supervisory signal shall be indicated at the fire alarm control unit. This activation can easily be accomplished with a PR-1 relay and addressable monitor module. Power the PR-1 with the shunt trip control circuit and connect your addressable monitor module to the Common and Normally Open leads. 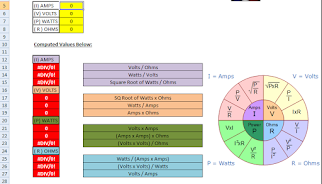 If the Control circuit loses power, the PR-1 will change state and short your IDC on the monitor module. Program the module for tracking supervisory and label it "Shunt Trip Power". What is the Requirement for Shunt Trip Breaker Location? As of now, National Codes/Standard and Elevator Codes DO NOT indicate specific locations for the elevator shunt trip breaker. However, in California the elevator shunt trip breaker must be installed OUTSIDE the elevator machine room (EMR). The thought behind this is once the circuit is shunted, sprinkler activation can drip water over the breaker and return power to the elevator. When the shunt trip breaker is activated, the breaker switch itself will be between on and off. To reset the breaker, make sure the controlling fire alarm system is reset and back to normal. Once the FACU is reset, flip the shunt trip breaker all the way towards the off position (should be some tension) and then flick it all the way back to on.